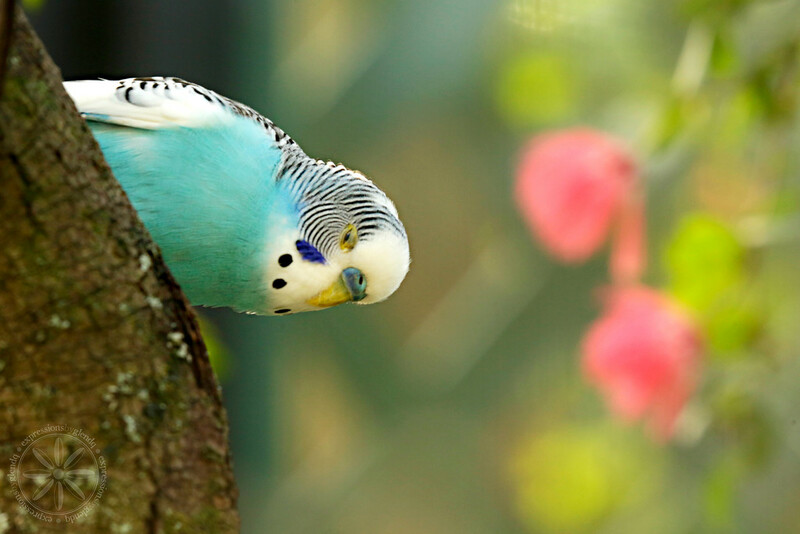 This budgie was looking down at me and I thought the background was as pretty as the bird. Tags tree, blue, flowers, bird, florida, budgie, pink. Jeez, this is stunning! The bird up close but indeed also that blurried background is magic, almost like it isn't real. Great job! Wonderful flow to this, from structure to softness. Fav! A wonderful capture and tones, fav! oh how lovely to see a wild one!